The Roots on the River Festival has a new promoter as it enters the eighth year, but the basic premise is still intact: pack all the music that fits into four days, each capped with a different flavor of Fred Eaglesmith. The show began in 2000 as a way for promoter Charlie Hunter to quench his appetite for Eaglesmith’s hardscrabble tunes. The inaugural “FredFest” lasted two days. Over the past few years, it has grown to four, and includes many local and nationally known performers. This year’s Roots on the River kicks off next Thursday with “Vermont Night,” featuring Josh Maiocco, Scott Ainslie, the Starline Rhythm Boys and the Sandra Wright Band. Maiocco played last year’s festival with Ingrid’s Ruse, in one of their last shows as a band. These days, he’s the host of PK’s Tuesday open microphone night at in downtown Bellows Falls. Ainslie is both a teacher and performer of American blues music, and the Starline Rhythm Boys have drawn strong notice for their faithful honky-tonk sound. Headliner Sandra Wright has called Vermont home for some time now, but the heart and soul of her music remains her native Memphis. 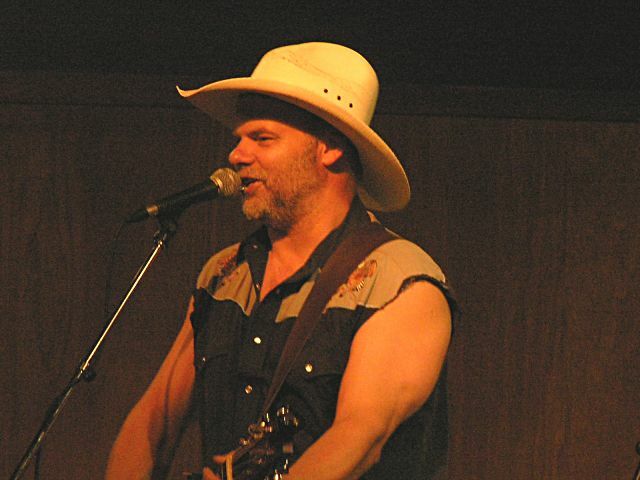 Friday’s “Live At the Farmer’s Market” set is a Fred Eaglesmith Band alumni night of sorts. Both Roger Marin and Willie P. Bennett played with Eaglesmith in years past, and the 90-minute “Fred & Friends” set that closes the show should be full of happy endings. The all-day Saturday show has been bedeviled by rain in the recent past, but that hasn’t dampened anyone’s spirits. Gandalf Murphy and the Slambovian Circus of Dreams returns after a year’s absence. Joe Gee makes the move from the parking lot to the stage, and the Dan Whitley Band will try to re-capture the energy that made their one of the most well-received sets at last year’s festival. There’s also a lot of female energy on the bill. Red Molly, who play the second set of the day, is made up of three women who met around a campfire at the Falcon Ridge Festival. After being chosen as an emerging artist there, they’ve gone on to open for the likes of David Wilcox and Jonathan Edwards, and released a new album this spring.. Roots on the River has a long-held reputation for presenting talented artists on the verge of greater success. A few years back it was the Greencards, and last year Crooked Still played a rousing set. Both of those bands are scheduled to headline the Lebanon Opera House this autumn. On this year’s stage, Eilen Jewell seems poised for similar heights. Story-songwriter Chris Knight writes vividly about his native Kentucky. His songs have been covered by everyone from Montgomery Gentry and John Anderson to Randy Travis and Confederate Railroad. But in his hands, they’re all his. Iris DeMent, who performs just prior to Fred Eaglesmith, can cast a mood like Townes Van Zand – her songs could be rated with razor blades instead of stars. She should be a perfect foil for the happy-go-lucky Fred, whose Saturday set typically chugs like a runaway train. There aren’t many performers able to match his energy level. Sunday, Eaglesmith dials things down to a more peaceful level in an all-acoustic set, sharing the Rockingham Meeting House stage with Juno nominee David Olney. The Thursday and Saturday shows take place in Rockingham behind the Everyday Inn. Full weekend packages and individual tickets are still available. NOTE: Friday’s shows have changed – it’s now Roger Marin and Chris Knight opening for Fred and Friends at the Everyday Inn evening show. Also, the free Farmer’s Market set features the Roger Marin Band and Joe Gee (who also performs Saturday).